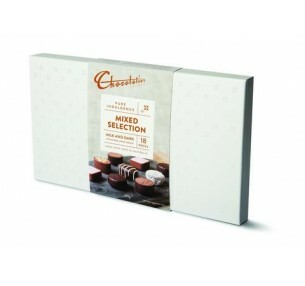 Chocolatier's Mini Treat Box is a sweet token gift that will leave the recipient smiling. 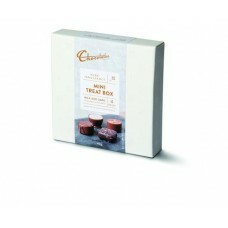 The stylish white box, weighing 40g, contains four popular flavours: Baby Cappuccino, Dark Salted Caramel, Butterscotch Cup & Cookies & Cream. 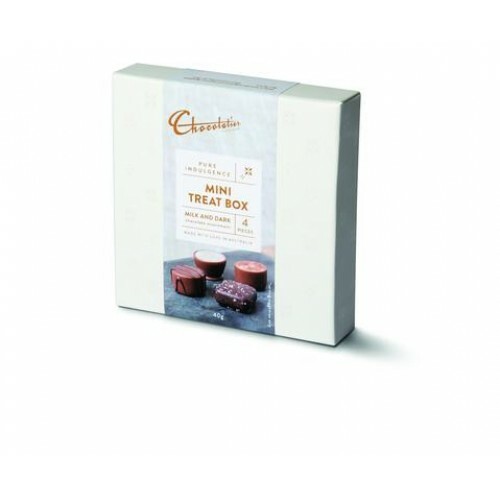 Ideal for a small thank you gesture, hampers or a table decoration, Chocolatier's Mini Treat Box is perfect for so many occasions. 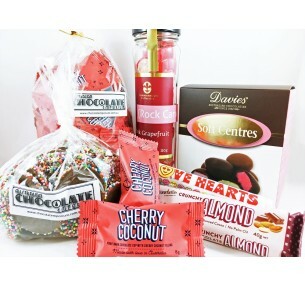 The pretty Pink Pamper Hamper is a rosy gift to give anytime of the year: Raspberry Rocky Road..
Chocolatier's Mixed Selection Gift Box is an indulgent gift for any occasion. The stylish wh..